Please post any data issues related to Leyton Orient here. Please note that any non-data issues for Leyton Orient should be posted in the appropriate thread within the League Specific Issues Forum. This would include issues such as league scheduling and league rules. Also, the pace of Josh Koroma is surely more than 10?! If Josh Coulson is 8 then Koroma has to be around 12 or 13 at the very least. Hector Kyprianou is a central midfielder (box to box type), rather than a centre back. Granted, he has played at centre back on occasion but almost every time I’ve seen the youths play, he’s in the centre of midfield. 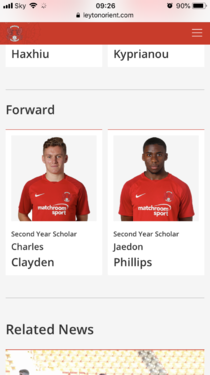 Jaedon Phillips is an attacking midfielder/striker and a good finisher, yet is down as a central midfielder with finishing of 2. Should be somewhere between 9 and 11. 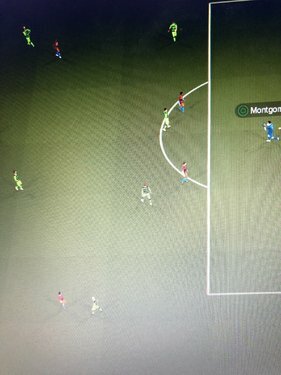 Does anyone actually watch the youths play? Because the accuracy of ratings and positions on a lot of them is well off the mark. James Alabi has a two year contract with Orient until June 2020 - the game currently has it at 2019! Thanks for posting, some worthwhile suggestions to think over. I've updated/tweaked Coulson, Hammond, Kyprianou and Koroma. I don't believe you have provided enough evidence for Phillips and Bonne to be adjusted. , please provide evidence as to why it should be bumped at by one point. And our researcher researches the youth teams. Hopefully attached is a screenshot from the club website saying Phillips is a forward. He’s already got 7 goals this season and was somewhere between 15 and 20 last season (I forget the actual number but I’ve asked someone at the club to confirm this). Therefore I think a finishing attribute of 2 for the youth team’s top scorer is a little harsh. I’d say around the 9 mark would be fair and his composure 8 or 9. With regards to Bonne’s finishing, he was the second highest scorer in the league last year so I’d say 12 is more realistic and he’s scored plenty of 1 on 1s so his composure potentially should be more than 8. Genuine question which I don’t mean to sound rude or abrasive but I’m sure that’s how it will read on here... are we sure the researcher is researching the youth teams if they haven’t got information that is on the club website correct? Often, attributes for youth players are randomly generated as not enough has been seen of them to form a stable opinion. I have now given Phillips a generous CA for his experience to date, given the number of goals you have recorded. The information for the youth team came directly from a coach at the club. So for instance updating Kyprianou's ratings is wrong - unless you're trying to tell me this coach hasn't seen him play at CB? The finishing rating for Philips will be random and not set. I'm happy with Bonne's finishing rating. 17 non-penalty goals in 44 games at Conference level when his clear superiorty is his conditioning and work rate is reflective of that. About the Pace of Koroma and Coulson, that sounds like I've overrated the later a bit but it should also be considered in conjuction with Acceleration (I don't have them to hand, I assume Coulsons is less and Koroma's higher) , and is also based primarily off of last season when Koroma didn't appear to be in great shape. 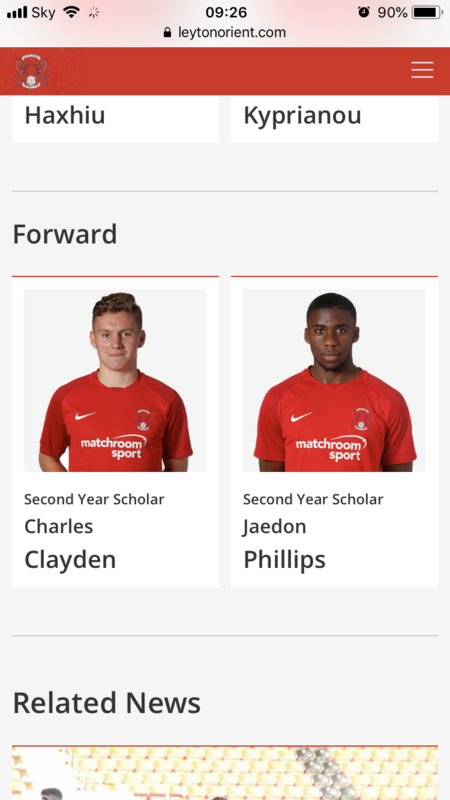 Kyprianou is listed on the club website as midfielder (you can see him just above Phillips in the picture I attached). I’ve also seen him play as a centre back but he’s definitely used a CM more. He also seems to score quite a few goals from midfield too. Likewise with Phillips being a forward. He has been used as a CM very infrequently but scoring 20+ goals predominantly as a striker or a second striker would suggest to me he’s a forward (as well as being listed as one). Whenever I’ve seen him play, he’s on the shoulder of the defenders. Ive been to see the youths play lots of times, plus most of the info can be gained from the match reports on the club website. I’ve only seen Kyprianou play CB once and this was only in a friendly when the first year scholars came on and he shifted into the back line. Every other time he’s played as a box to box midfielder next to Haxhiu who is honestly a bit like Lee Cattermole. Not sure if this is database or match engine so I’ve posted in both. 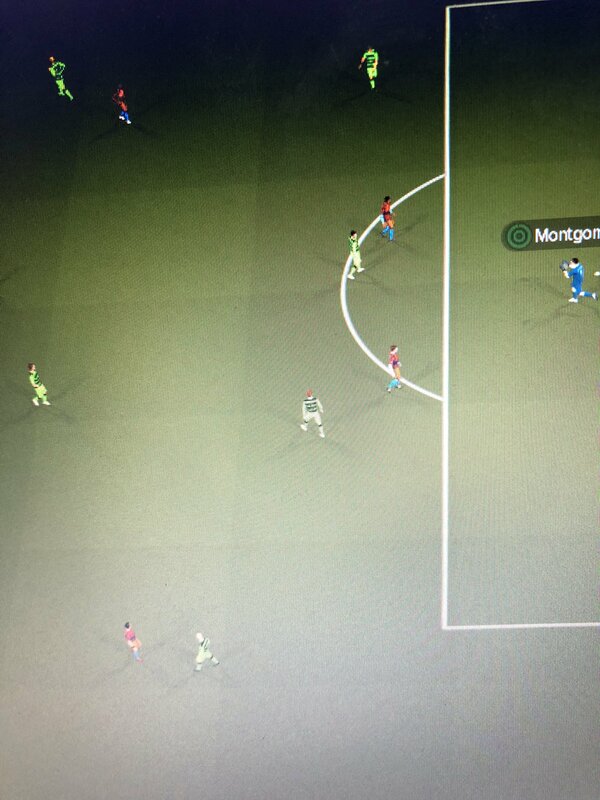 Orient’s kit in match is wrong. We’ve never played with that shirt and shorts combination.